How many times haven't you created, for instance an Interactive Video, and later realized that the same Interactive Video would be perfect inside one of your columns or Course Presentations? Or you create a Drag and Drop question, just to realize that what you should have been creating was a question set. This is not a problem anymore. With the new content repurposing feature you can copy content from anywhere, and paste it anywhere. You can copy an entire Column, or just one of the questions within the column, and you can paste it anywhere you want. You can paste the question from the column as a standalone content type, or paste it as a question inside an Interactive Video. Add extra license information. Maybe a link to special clauses or contracts? Add a changelog as required by some licenses for derivative work, and always a good practice. What about content created on self-hosted wordpress site? Sorry for asking this silly question, but what will happen with content created on a self-hosted wordpress site using the h5p plugin? Will it be there, and will I be able to continue to use the plugin after you have moved to h5p.com? Many thanks for your kind work. To enable this feature a new H5P library needs to be installed. Download it here, and upload it through the library admin page on your H5P enabled site. But we don’t have the library admin page. Could you please guide me how to upload the H5P library file? If you're using H5P.com in D2L this release will be available in a couple of weeks. H5P.com is two weeks behind as we there prioritize stability over beeing on the cutting edge of the development. Any problems reported by the community the next couple of weeks will be investigated and fixed before H5P.com is updated. Our main contact at your organization will be informed 7 days in advance of the update as well as after the site has been updated. If you're using H5P.com to bring H5P to D2L using LTI, then you'll just have to wait a couple of days. H5P.com is not updated immedeately after a release. If you're embedding content from another site that hosts H5P, then the library will have to be installed on the host system by someone with admin access. On drupal, you can find it in the content menu, on moodle it's part of the general settings system, on WordPress it's located in the H5P menu. 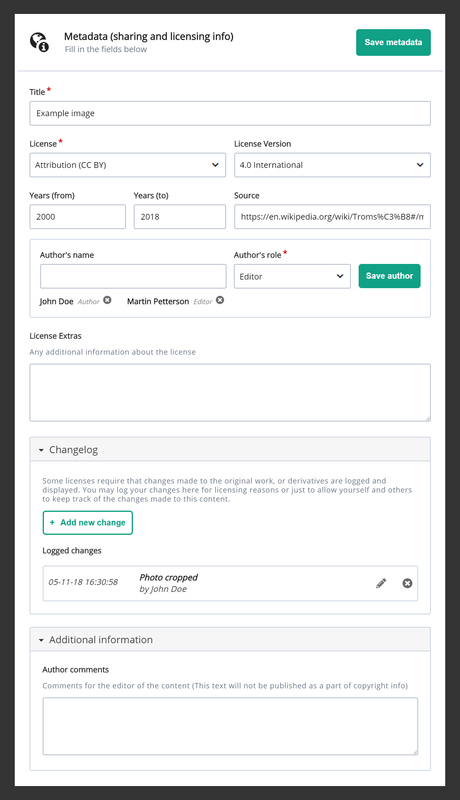 Hello, we are happily running the new IV with the submit answers panel (not perfect yet though..) in Moodle, and would like to upgrade to get the repurposing feature to h5p content. The staff in charge of software upgrade ask to indicate what exactly is needed for the upgrade, as there are several moodle objects and approximately 70 libraries. It would be extremely helpful if you could please provide a list of what is needed exactly. Could you please specify what you mean with "repurposing feature"? If you mean the option to download, share and resuse content: That has been there right from the start and is activated by default. If someone deactivated it, then your admins can re-enable it on the H5P Settings page within the moodle settings. Admins can set whether the action bar should be visible and which buttons it should contain. If I am not completely mistaken, all your admins have to do is update the H5P plugin for moodle, either via moodle's plugin directory or from the repository on github (whatever they prefer). In the case of photos, could not the Title and Author be automatically extracted from their IPTC / EXIF data? I believe it could, but there are some different formats and fields here that need to be supported/mapped. It will probably take some time to test this with a bunch of different images to get this working nicely. Yes, I understand. Thanks for your reply!